KT-715 — Epitope Diagnostics, Inc. 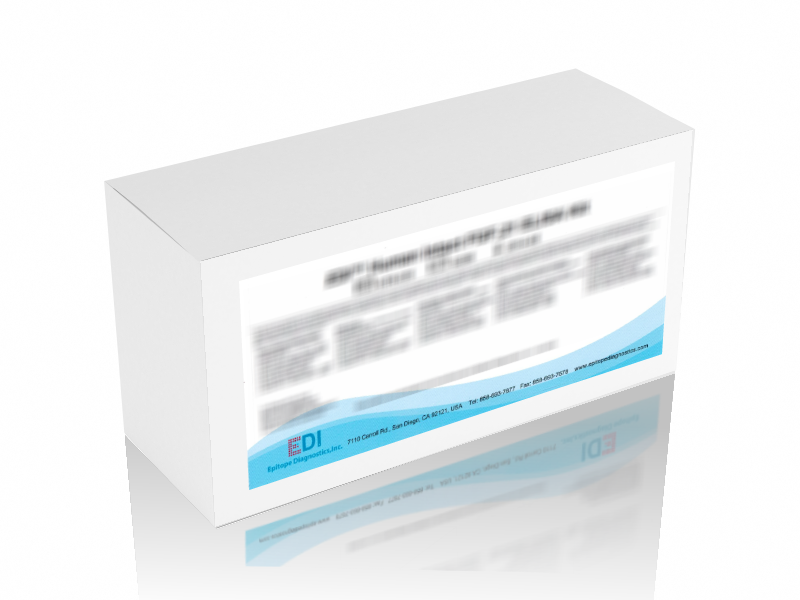 This test kit is intended for use in the qualitative determination of total 25-OH Vitamin D (Vitamin D2 and Vitamin D3) in serum and EDTA-plasma of human, rodent, and other animals. Thiskit is for in-vitro diagnostic use. The group of compounds referred to as Vitamin D are fat soluble steroidal prehormones. The main forms which occur in the body are Vitamin D2 (ergocalciferol) and Vitamin D3 (cholecalciferol). The active form of these molecules is Dihydroxyvitamin D3 (1, 25(OH)2 D3). Vitamin D3 is formed in the skin by photolysis of 7-dehydrocholesterol by ultraviolet radiation from sunlight. It is transported in blood circulation bound to proteins to the liver where it is hydroxylated. Further hydroxylation occurs in the kidneys to produce the most active form. Vitamin D levels are highest in newborns and decrease exponentially throughout life. Sufficient circulating levels of vitamin D are necessary for healthy bone maintenance and cell metabolism. Recent studies have shown that it may also lower incidents of certain cancers. Insufficient levels of Vitamin D can result in osteoporosis and bone fracture in the elderly, secondary hyperparathyroidism, abnormal cell metabolism and even increased incidents of cancer. Severe deficiency may lead to rickets in children and osteomalacia in adults. Disease associated with Vitamin D deficiency may also include: impaired immunity, increased autoimmunity, myopathy, diabetes mellitus, and an increased risk of colon, breast, and prostate cancers. Abnormally high levels (> 200 ng/ml) of Vitamin D leads to Vitamin D toxicity and may cause hypercalcaemia.